Posted by Zach Brooks at 11:30 am, June 15th, 2012 under Lunch Links. Slicetruck is no DiFara, but it’s pretty damn good. My one annoyance is they insist upon using chunks of tomato on their Grandma pies. While that’s technically correct, very few places back East do it that way. 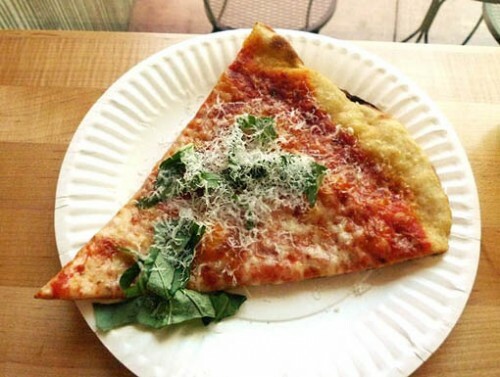 The best Grandma slices have something on the edge of crushed tomato and sauce. The big chunks of tomato taste too metallic and become tiresome after a while. That’s not to say their Grandma isn’t good, but it could be even better with, say, the fresh tomato sauce Hollywood Pies on their pizza.